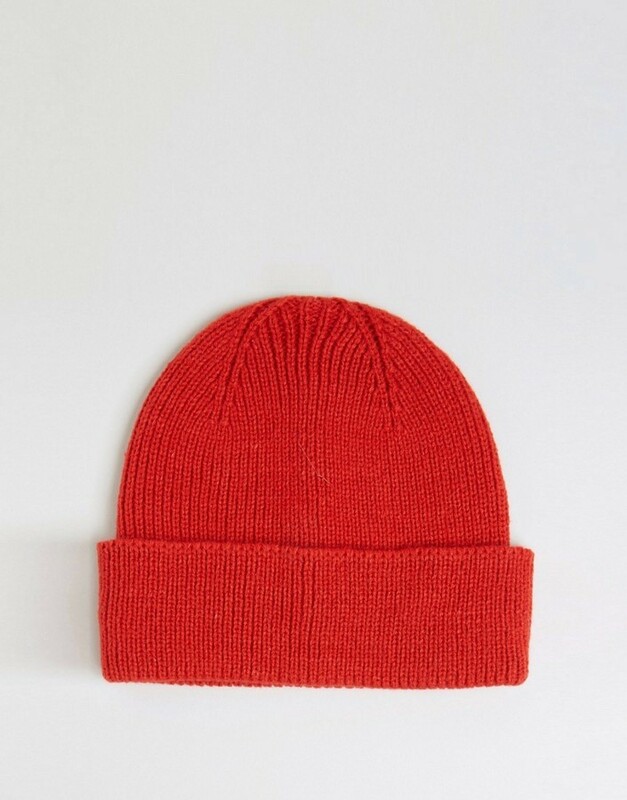 If you prefer functionality dressing when it comes to fashion, you'll love this stylish pairing of a red quilted shirt jacket and an Asos fisherman beanie in red. You could perhaps get a little creative in the footwear department and dress up your ensemble with black leather derby shoes. 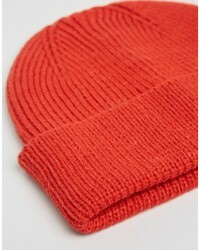 If you prefer relaxed dressing when it comes to your personal style, you'll love this stylish pairing of a brown knit cardigan and an Asos fisherman beanie in red. Channel your inner Ryan Gosling and opt for a pair of brown leather casual boots to class up your getup. 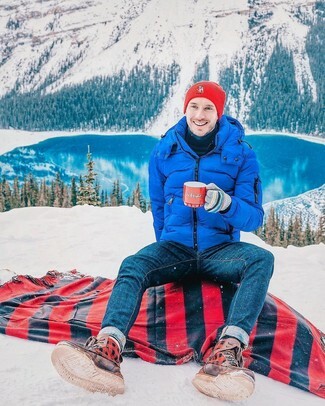 A blue puffer jacket and an Asos red beanie matched together are a match made in heaven for gentlemen who appreciate laid-back looks. Tone down the casualness of your look with brown leather casual boots. 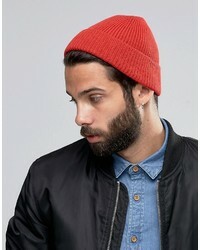 If you're all about comfort dressing when it comes to fashion, you'll love this on-trend pairing of a navy denim jacket and a red beanie. 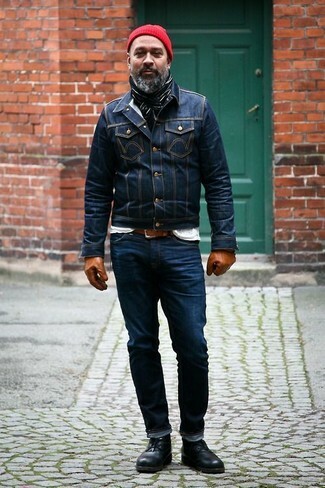 Sporting a pair of black leather desert boots is a simple way to add some flair to your outfit. 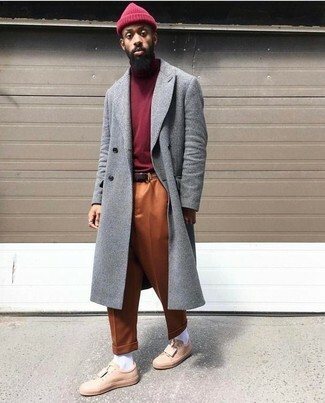 If you're a fan of comfort dressing when it comes to your personal style, you'll love this stylish pairing of a grey overcoat and an Asos fisherman beanie in red from Asos. Finish off with pink leather low top sneakers and off you go looking smashing. 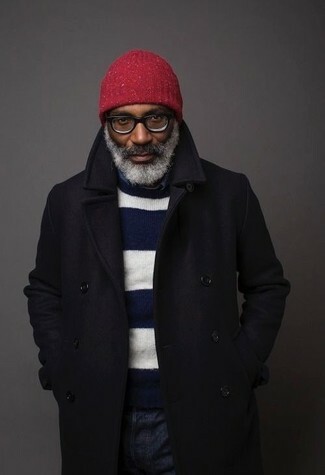 If you're a fan of relaxed dressing when it comes to your personal style, you'll love this killer pairing of a navy pea coat and an Asos fisherman beanie in red from Asos. 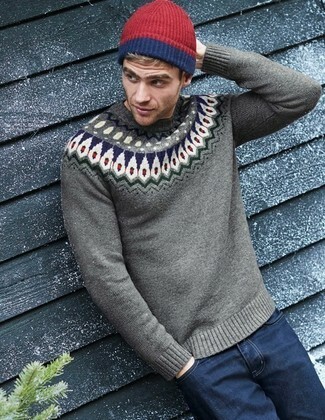 If you're all about being comfortable when it comes to fashion, this combination of a grey fair isle crew-neck sweater and an Asos fisherman beanie in red is right what you need. Rock an olive henley sweater with a red beanie if you're hunting for an outfit idea for when you want to look casually cool. 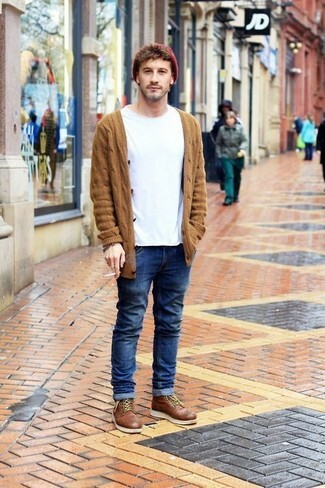 When it comes to footwear, this outfit is complemented well with brown suede work boots. 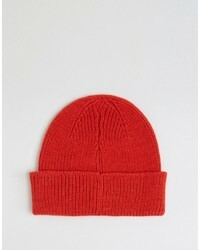 If you're all about functionality dressing when it comes to fashion, you'll love this easy pairing of an olive varsity jacket and an Asos fisherman beanie in red. 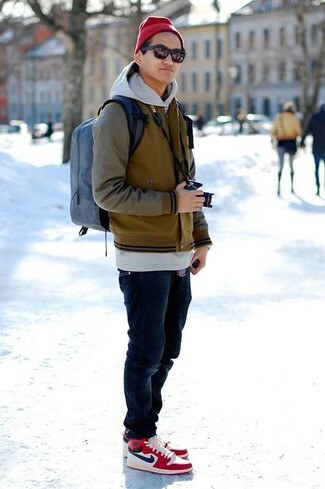 You could perhaps get a little creative when it comes to footwear and spruce up your getup with red high top sneakers.